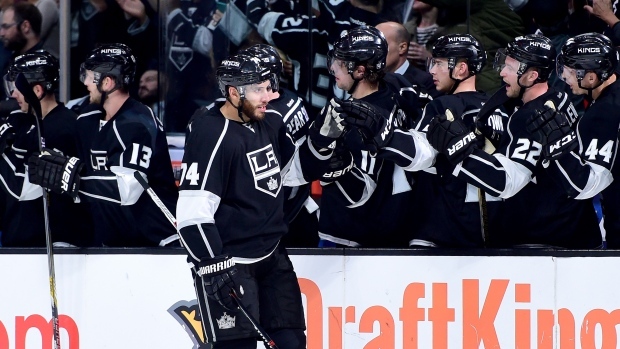 MONTREAL — The Montreal Canadiens have acquired forward Dwight King from the Los Angeles Kings for a conditional fourth-round pick in the 2018 NHL draft. King provides the Canadiens a dependable checking-line forward who helped the Kings win Stanley Cups in 2012 and 2014. His addition comes after Montreal added grit by acquiring Steve Ott from Detroit a few hours earlier. Habs wanted to add size up front and got it in Dwight King. King was selected by Los Angeles in the fourth round of the 2007 draft. He has eight goals and seven assists in 63 games this season. Overall, King has 52 goals and 56 assists for 108 points in 348 career games and 10 goals and 15 assists in 69 playoff contests.